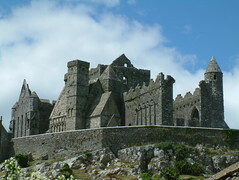 MY PHOTOS OF the Rock of Cashel often have faces of tourists distracting from the lines of the rugged Rock. Fortunately, help is at hand and there is a very straightforward way to remove tourists from your photos by using Photoshop skills. Tourists are often irritating digital artefacts. Like bugs on lenses or dust on a filter, those tourists have to go. Darby Sawchuk -- "How to remove tourists from your photos"